Between RPG products, novels, comic books, TV and movies, random blogs, and so on, there are already so many amazing worlds out there. Many of these worlds are tried and true and have decades of lore and refinement. But, for as amazing as some of these worlds and tropes may be, they aren’t novel, and they aren’t yours. Those worlds have already been explored and those stories have already been told. There’s nothing wrong with tried and true, with staying within the lines of a setting or a genre, with telling a story that has already more or less been told, but what I love about tabletop is that it allows for something more. With no artistic talent, programming experience, or a crew of performers and a special effects team, you can build a novel world. Your players can experience genuine wonder in the exploration and discovery of things truly never seen before. There is nothing wrong with orcs and elves and dragons, but at some point, they became mundane. You know what an orc is, and it makes you feel warm and fuzzy and nostalgic, and as the worldbuilder I’m just leveraging your knowledge and nostalgia. That’s simple and sensible enough, but where’s the fantasy in that?! If you want to build worlds that make you feel the way you did when you first read Lord of the Rings, let’s try something new! 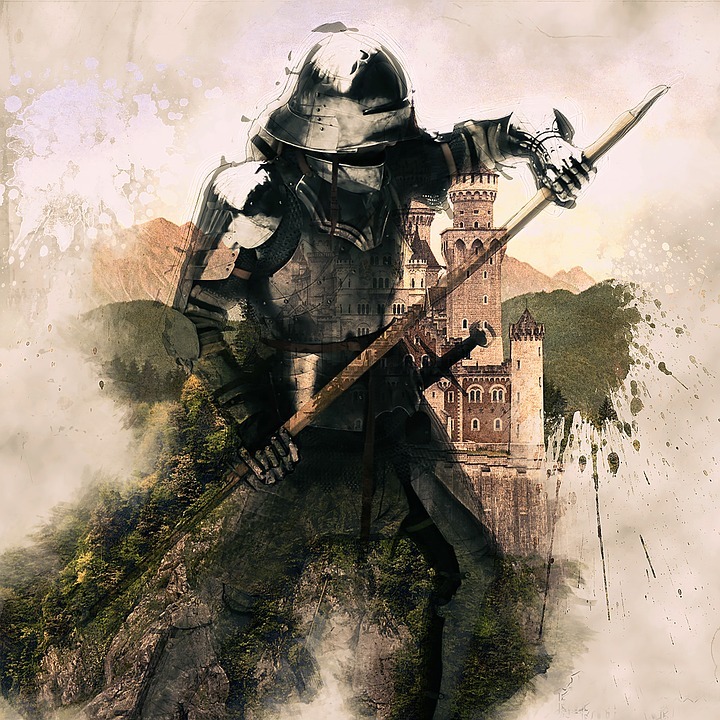 Here are 5 tips to bring fantasy back to the fantasy genre. This first tip isn’t about building a unique world per se, but it’s an important first step. Why do we love orcs and elves and dragons? As I discussed above, part of why we still use these creatures is because they’re known quantities, and they’ve worked in the past. But more than that, they hold some symbolic value. Elves can represent a people in tune with nature, or the end of an old age, or (if you’re going for more of a fey interpretation) whimsy and wonder. You need to understand what the tropes are and why they exist in order to change them. Now that you’ve thought about what the tropes mean, subvert them! Maybe in your setting, the elves are undergoing a magi-industrial revolution, using new magics to twist the forest into woody machines. Maybe the elves are a new race, and this is a world in which the age of humanity is coming to an end, rather than the reverse. I was a preteen when I first played the video game Warcraft 3, but the idea that the orcs were once a noble, shamanic people prior to the events of the first game blew my mind. By that point, between Warcraft and Lord of the Rings, I thought I already knew what an orc was supposed to be. By subverting my expectations, Warcraft left a lifelong impression on me of what the genre of fantasy can be. I’m borrowing this term from the tabletop RPG 13th Age, but I think it can just as easily apply to worldbuilding as to character creation. This is in-line with the above, a single subversion can entirely change the nature or tone of a world. However, other additions or changes can also make a world unique, without totally subverting it. In this world, maybe halflings have elongated faces and big eyes, as if they evolved from a lemur. Maybe that inspires you to place the halflings on an isolated, Madagascar-esque island, rather than The Shire, deep in a Euro-inspired forest. Maybe elves have bluish skin and white hair, making them just a little more alien. Maybe they actually are the descendants of ancient alien refugees, and there are subtle hints throughout the world that their magics are in fact advanced technologies. Maybe you don’t just want one change, but a world entirely different from traditional fantasy. It can be daunting to build a whole world, or even to decide where to begin. In such a case, take from what’s already out there! So you have a fantasy setting, but instead of orcs and elves, you have daleks and twi’leks, and instead of paladins and wizards you have jedi and onmyoji. You can change the names, shuffle around details, adapt them to whatever technology level or setting aesthetic, it’s just about giving you a place to start. At this stage it might seem a bit slapdash, like a child smashing their toys together. That can be fun, but let’s take it one step further: how do these disparate elements come together? In the process of answering that question, I think you’ll find that the world starts to build itself. Even though these are known quantities, by arranging them in a unique way, they can become something novel and greater than the sum of their parts. If you’re like me, and the problem is that you have too many ideas, rather than too few, don’t be afraid to go all out! Throw every idea you can possibly think of up on the board and see how it shakes out. The reality is that many of your most unassuming ideas will end up being your best, and many of your personal favorites aren’t going to work the way you expected. Plop it down like a big brick of marble and chip away at it. Share your work on r/worldbuilding or elsewhere on reddit, start a blog, or seek advice in some other way. At the end of the day it’s your world, but consider what other people have to say, and if they tell you something isn’t working, don’t be afraid to chip it off. So here’s the world I came up with, just in the process of writing this article: A peaceful tropical island, inhabited by a small, lemur-like people known as halflings, is invaded by the powerful, arcane lich army known as the daleks. A few unassuming halflings are rescued by a great onmyoji, a tall woman with light blue skin and white hair, wielding a glowing blue saber of light. She takes the halflings to the continent, where they learn about a war gone awry between an old race known as humans, and the blue-skinned elves who have begun to succeed them. Out of desperation, a sect of humans placed their souls inside arcane boxes, giving up their own humanity to bring human civilization back to its former glory, as they perceive it. Amidst a world in such turmoil, what place is there for the halflings? Before you begin reading this guide, I would like to formally make note of my identity. I am Balamast, Master Thief of the local thieves guild; some of you may know me as Fox Fingers and if you don’t, I am terribly disappointed. I have spent the last 20 years perfecting my craft and now I will give you the five most useful tips I can share to improve your skills. If you are not of the charismatic or dexterous among us, please stop reading and go learn how to be like the rest of the barbarians. Well, shall we begin? Not every problem can be solved with metal, sometimes you must use your charm to get away with things you otherwise wouldn't. You must obtain a silver tongue. To do this, practice speaking to all manners of people. Try convincing someone that you’re somebody you’re not. Start simple, pretend to be a merchant from a far away place seeking land to be purchased. The more you practice, the better you will get at speaking quickly; especially when you are caught off guard. This is by far your most valuable asset as it will save your life in a pinch. This skill allows you to learn information that will give you an edge in these situations. I can boldly assume you understand that being light on your feet is an important mechanic to becoming a good thief, right? Well, when it comes to running away from a caravan of guards who just caught you stealing from the king's cache, you bet that your not fighting them. Do what we thieves do best, RUN! Running isn’t just about beating your feet and controlling your breathing, it’s about fluidity of movement. We need to teach you how to fall from great heights, jump over railings, using alleyway walls to climb up onto a roof, the like. What I am getting at is that you need to go practice. Find some buildings to play around with, practice running as fast as you can, stretch your muscles and let it become not thought, but instinct. Eventually everything will become muscle memory and will be easily applicable where ever you go. Every rookie thief has made this mistake in the past, going in blind. You must know at all times what you are dealing with and the repercussions of such. What I mean by this is that when you pick your target, who does it belong to, what kind of power do they hold, are you willing it take to risks if you get caught. There are lots of different people out in the world, you could be stealing from a powerful wizard and you just might end up becoming a toad for the rest of your measly existence. So do yourself a favor and study. Learn everything you can about what it is your after so you have the best chances of succeeding. I am friends with far too many toads now. So, once we have our shinies and bobbles, where the hell do we go to sell them? Well, we must look for the marks. Have you learned thieves cant? We use this to mark places of interest under the naked eye of the city. We use it to communicate guard patterns, places to sell your stolen goods, jobs or even some useful items for any traveling thief. Thieves cant can also be used to communicate directly to others with slight hand gestures, that's how group jobs are performed, we do it without saying a word. So keep an eye out for these markings throughout the cities, you will be surprised by what might turn up. I always put this as my last lesson when it comes to teaching thieves. I am not a believer in killing, nor do I condone what ever acts you take outside of these teachings. But, as a thief you must be able to play dirty, a good majority of us are not tough fighters. I would always say run first but at some point in your career your going to be surrounded. Step one is to take a good hard look at your surroundings, see what you can use to advantage. Whether it be sand to throw in their faces or a rock to hide behind. Find a way to get in between the armor. Exploit weaknesses when possible, i guarantee you will always be able to out fight a man in plate. Exhaust him by dodging his attacks and when an opportunity arises go for it. We thieves tend to excel at knowing the human body allowing us to perform what I like to call “Sneak Attacks”; I am clever. Basicly pointing your blade into a weak point of the body, this tends to be more difficult with bigger weapons so we tend to stick with the knife. Thank you for taking the time in reading this guide as I hope it helps you achieve your goals and dreams of obtaining whatever it is your after. Remember to speak well, be nimble as a fox, learn about your target, know our language and when you have nothing else know how to fight. I do not run an assassins guild so if you get in trouble for murder, understand that purchasing this document holds me under no legalities of your actions.